The Fill StationHungry? A long day of fun can do that to you! Make sure to stay energized by dropping by The Fill Station if you’re in the mood for something yummy! 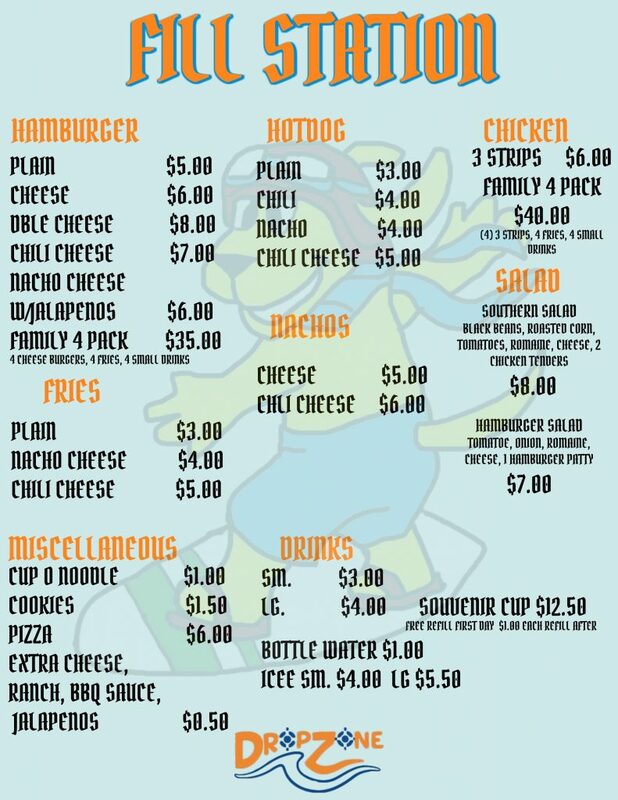 You’ll be sure to enjoy any of our delicious and mouthwatering menu options. Ask about our souvenir cups only $12.50 per cup Must buy 2018 cup to be valid for soda refills Years past cups can be used for only ice water. Outside FoodWant pack your our own picnic lunch? Bring a cooler into the park for a fee based on size of the cooler. 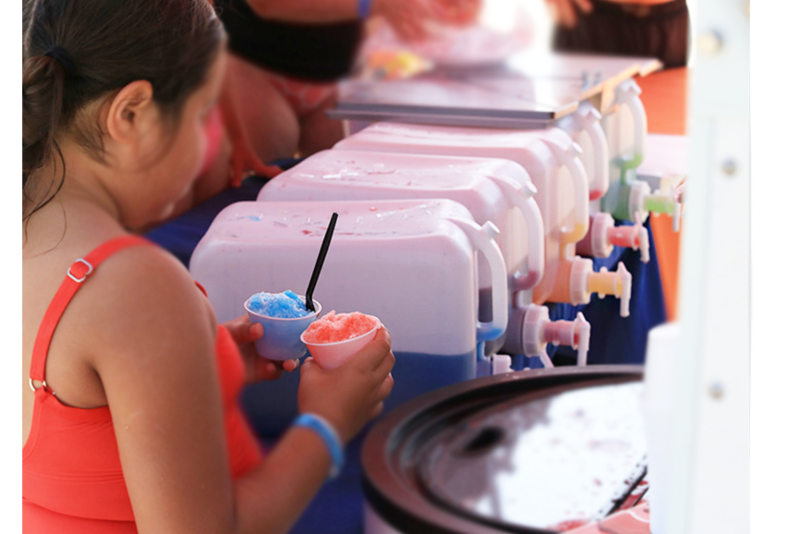 Small coolers are allowed with a $20 fee and large coolers (48 quarts and more) are allowed with a $50 fee. Glass, fast food, and alcohol are prohibited.